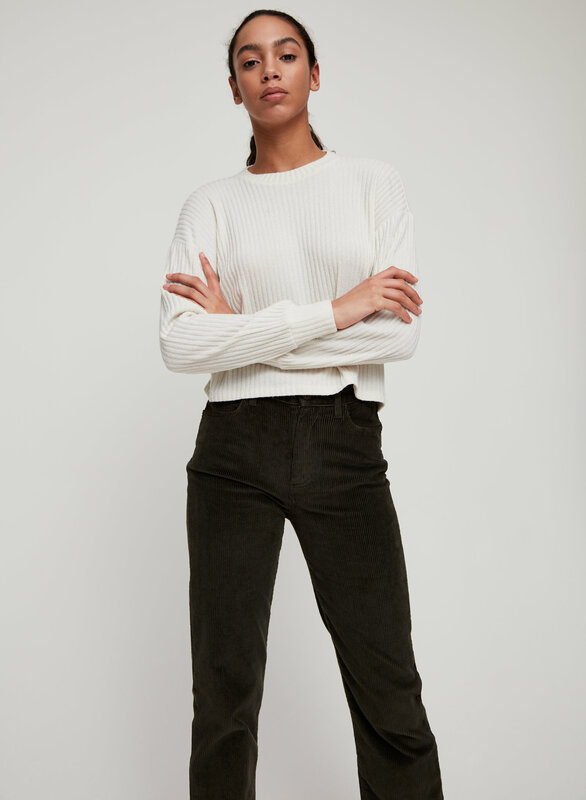 Styled with maddie pant . 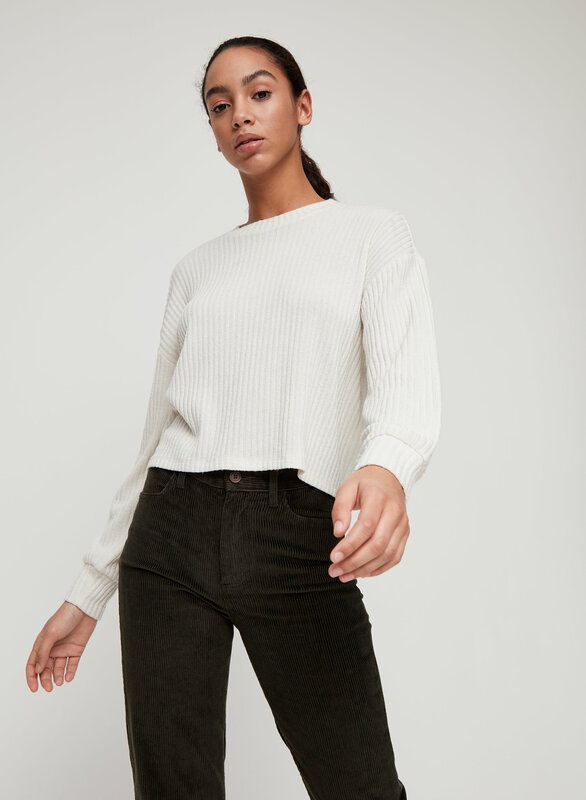 This is a ribbed longsleeve with a high crew neck and boxy, cropped body. It's made with Wilfred Free's signature Reposa™ fabric, a soft jersey knit that drapes beautifully. 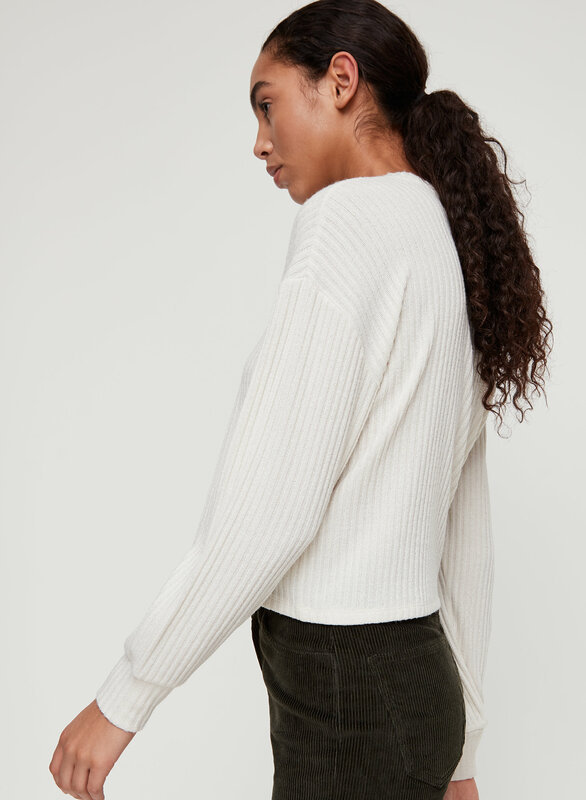 One of my favourite Aritzia tops! 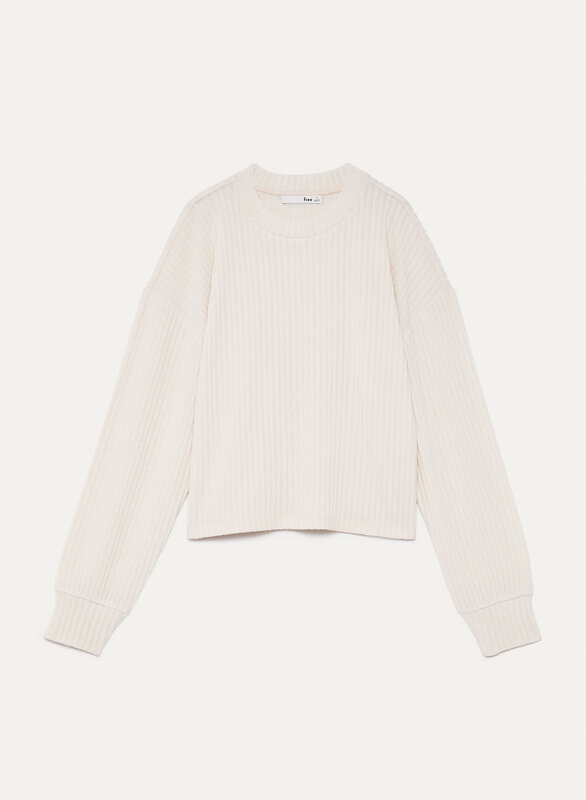 Love this shirt, it has the look of a wool sweater but is light weight and soft like a normal shirt. Its not too long which i love.